Blending the best of German engineering and cutting-edge hybrid technology, the Porsche 918 RSR is a 767hp bullet that follows in the footsteps of the GT3 R Hybird, and can be traced further back to the legendary 917. 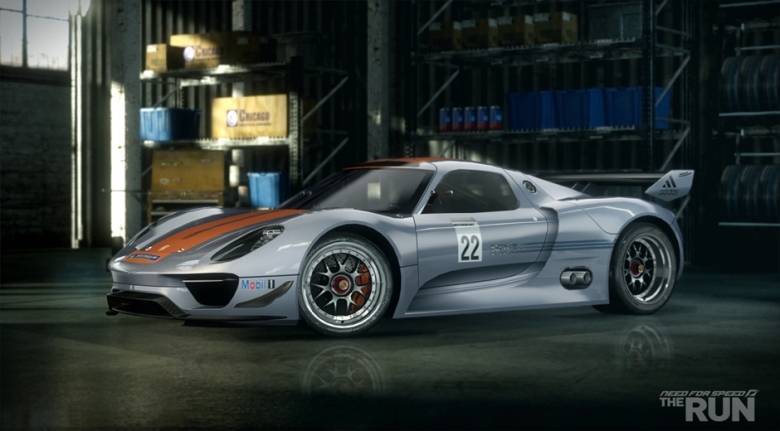 Using a kinetic energy recovery system to generate power to two electric motors combined with a race-bred V8 that provides serious backbone, the 918 RSR is a race car that’s arguably the epitome of power and fuel economy. One of the few road-going race cars in the game (and one that will feature iconic liveries), this is one serious contender for The Run.